VITTERS YACHTS specializes in delivering custom luxury sailing yachts measuring up to 98′ (30m) in length. Applying the exceptional quality of Vitters’ in-house design and engineering team, the yard’s number of yachts continues to grow into the arena of larger vessels, both carbon and aluminum, without compromising exceptional design and quality. World-class new yacht construction by Vitters includes the 107′ (32.64m) RIBELLE, the 108′ (33m) MISSY, the 141′ (43.2m) MYSTERE and more. 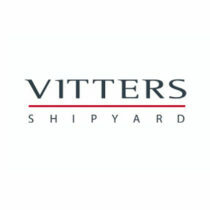 As a premier luxury yacht builder, Vitters Yachts works with the world’s finest interior and exterior designers including Bill Tripp, Malcolm McKeon Yacht Design, Redman Whiteley Dixon and others, to create a yacht with thoughtful precision and detail to the client’s liking. Browse the entire fleet of Vitters yachts for sale or find a Vitters yacht for charter below. For more information about Vitters yachts for sale, along with a full market analysis, and your own custom tailored yacht report, or to book a Vitters yacht for charter, simply contact the Merle Wood & Associates luxury yacht brokerage firm.